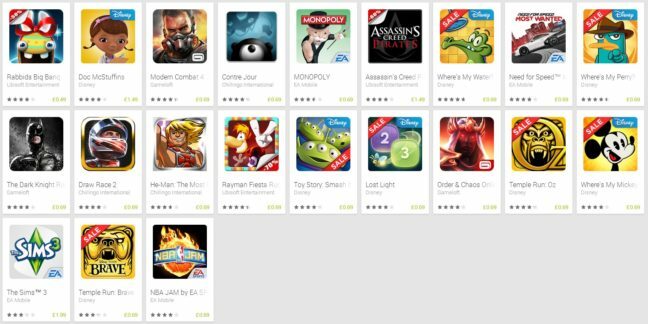 Spring Games Sale started in Google Play Store. Google selling some of the nice games at discounted price. At present there are 21 games listed in the sale. Games from Disney, Gameloft, EA Mobile, Ubisoft, Chillingo International are available to buy from Play Store.